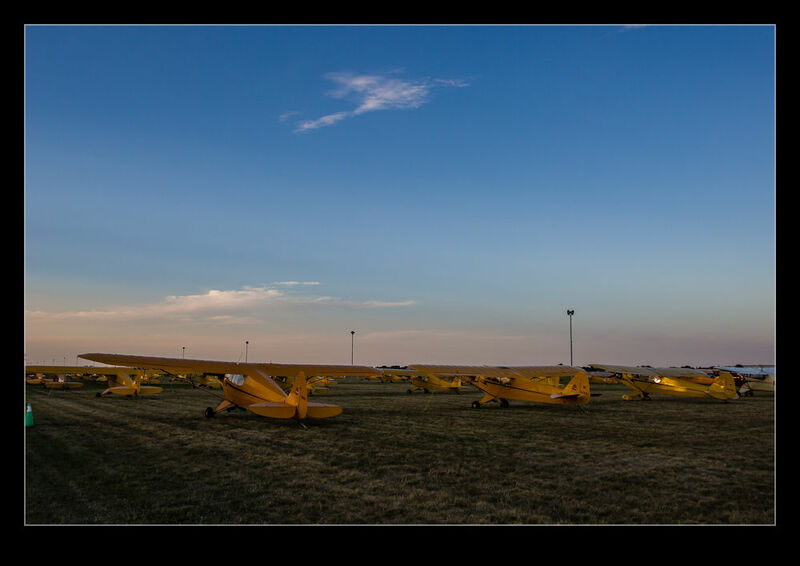 You can’t cover Oshkosh this year without mentioning the Piper Cub. 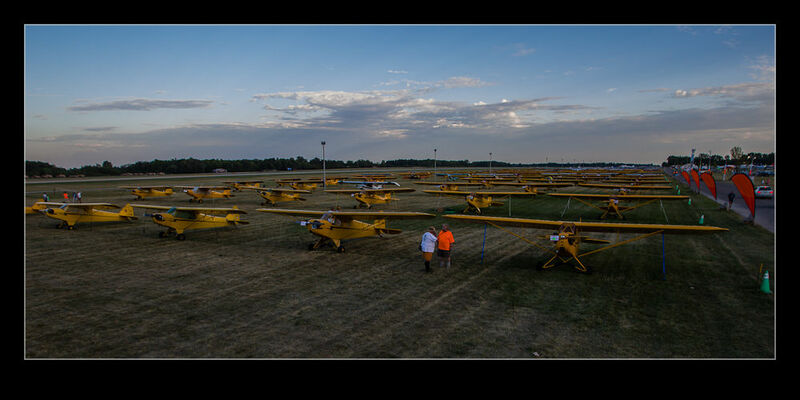 This year was the 75th anniversary of the Piper Cub and they came to the fly-in en masse. There was a mass arrival the weekend before the show started but I didn’t get there in time to witness that. However, the parking had been set up to give the aircraft prominence. They also made an effort to give those aircraft painted in the original Piper yellow parking together to emphasize the effect. I wandered down to the Cub parking in the evening. I had been hoping that the late evening light would pop out nicely and illuminate the ranks with a warm glow. Sadly,m the light never really cooperated. It always lurked just behind a cloud. However, the lines of Cubs were certainly something to see. It was tricky finding an angle that really showed just how many there were. Just trust me. There were lots of them! This entry was posted in Air Shows, aircraft, civil, photo, publishing and tagged aircraft, airplane, airventure, cub, EAA, flyin, Oshkosh, piper, Wisconsin. Bookmark the permalink.